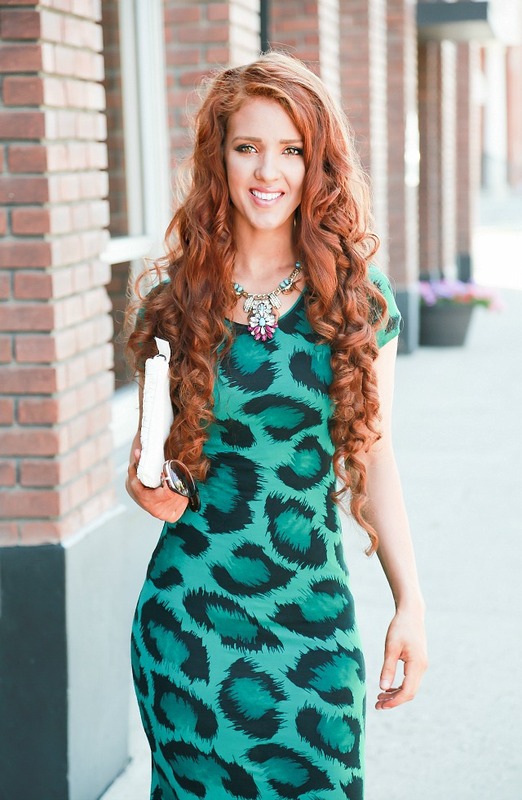 The Freckled Fox: What I Wore // Do these bricks make my hair look red? What I Wore // Do these bricks make my hair look red? clutch // c/o Sam Moon Trading Co.
Also before I go I want to point you guys to Sam Moon Trading as well. I couldn't believe how stinking full that site is, and everything is so amazingly inexpensive! Also the customer service people are so awesome and sweet, and the quality of everything I received is top knotch:) One of my new favorites for sure and highly recommended! Thank you so much for paying me a visit today, and I hope to see you back here again tomorrow darlin'! This color of dress does look awesome with your hair! I like the curls, they are more defined than usual but I think it works with your long hair. Love the dress! I'd wear it all the time too! Nice dress - you look amazing! Everything about this outfit/style is amazing! Do you have a tutorial for your curls? I never have time in the mornings for heated curls, so no-heat would be awesome to know how to do! You look so beautiful, Emily :) I love the combination of your gorgeous curls, the awesome dress, and the neutral heels. I love your curls! How did you get them without heat? Also, your dress is amazing. Such a pretty cool on you. Wow! Love the pop of green in this dress. Also in love with your necklace! Stunning!! Such a fun and vibrant dress! Love the pattern and your hair looks flawless! That dress is beautiful and so is your hair!! I do love the hair! Do you have a tutorial? No-heat is always good! Your whole look is 100% en pointe! The colors, length...everything is totally flattering. Do you have a tutorial on those no heat curls?? They're gorgeous! Your hair does look red but I love the curls, beautiful! You are seriously perfection. From your hair to your dress and girl, I hope to the heavens that my body looks like that after children!!!! You look great! I really, really like your hair! I noticed it right away. How did you do that without heat?! Tutorial soon please!!! you look lovely.. green is definitely your color! You should show a tutorial on how to get your no-heat curls! Looks amazing! Are your shoes for real Christian Louboutin?????????? love the curls, and would LOVE to see a tutorial on it. love your hair and outfit... please show us how you curl you hair..
Wow! You look amazing! And your hair is PERFECT! I just went on redbottomnet and I love their shoes. It looks like they're probably not real LaBoutin's, but did you like the quality? Do they wear well? I would love to know how you did these no heat curls!!! Beautiful!!! I would love to know how you do these no heat curls!!! Beautiful!! Help a girl out pretty please! Are the shoes on redbottomnet REAL Louboutins??! If so, my goodness I just found my next Christmas & birthday presents! Please show us how you did your hair! It is so pretty and I am dying to try it out! !